Hemp (Cannabis sativa L.) is a fast-growing and high biomass producing plant species, which has been traditionally grown as multiple-use crop and recently considered as an energy crop. 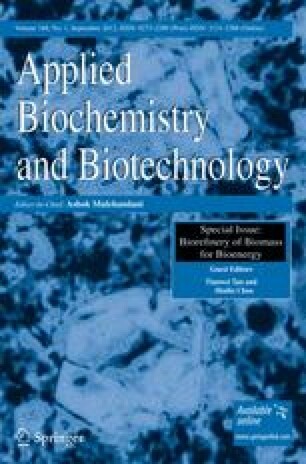 In order to screen accessions that can be cultivated in cadmium (Cd)-contaminated soils for biodiesel production, the ability of Cd tolerance and bioaccumulation of 18 hemp cultivars or ecotypes were evaluated in pot experiment under 25 mg Cd kg−1 (dry weight, DW) soil condition, in terms of plant growth, pigment contents, chlorophyll fluorescence, and Cd accumulation at 45 days after seedling emergence. Results showed that seedlings of all cultivars, except USO-31, Shenyang and Shengmu, could grow quite well under 25 mg Cd kg−1 (DW) soil condition. Among them, Yunma 1, Yunma 2, Yunma 3, Yunma 4, Qujing, Longxi, Lu'an, Xingtai, and Shuyang showed great biomass (>0.5 g plant−1), high tolerance factors (68.6–92.3%), and little reduction of pigment content and chlorophyll fluorescence under 25 mg Cd kg−1 (DW) soil stress, indicating these cultivars had a strong tolerance to Cd stress and could be cultivated in Cd-contaminated soils. Cultivars Longxi, Lu'an, Xingtai, Yunma 2, Yunma 3, Yunma 4, and Qujing exhibited higher Cd concentrations and total Cd in shoots. These cultivars, therefore, are good candidates for the implementation of the new strategy of cultivating biodiesel crops for phytoremediation of Cd-contaminated soils. Financial support from the National Natural Science Foundation of China (No. 40971296) and the Anhui Provincial Natural Science Foundation (No. 11040606M87) is gratefully acknowledged.